Congratulations to Carl Allegretti for unanimously being selected to the 2009 American Youth Football Hall of Fame. "The American Youth Football Hall of Fame is AYF's highest honor and is only bestowed on the Leaders of our great country who have made a difference in the lives of our Nations best citizens. It is a way of saying thank you for giving back to youth and your community" - AYF. Click here to see the induction photo. A Spotlight on Giving Back: click here to read the story about the Carl S. Allegretti scholarship award that goes to the top American Youth Football (AYF) Academic Athlete. Click here to view the AYF Hall of Famers! Click here to read a story about one of our own. The Carl S. Allegretti scholarship award goes to the top American Youth Football (AYF) Academic Athlete. Carl Allegretti was inducted into the AYF Hall of Fame for his long-time dedication to youth football and his emphasis on education. Click here to view the this year's winner. Congratulations to Luke and Nick on receiving the NFF Courage Award. On Feb. 22, 2010 at Halas Hall, as part of the National Football Foundation awards ceremony, the first-ever "Fred Mitchell Award" ( www.fredmitchellaward.com) will be presented to the nation's best place-kicker for performance on the field and in the community among nearly 400 Division II and Division III schools. Former Bears defensive tackle Steve McMichael will provide his College Football Hall of Fame acceptance speech, Luke Lizen and Nick Allegretti will receive the NFF Courage Award and $20,000 in college scholarships will be awarded to local high school football players who excel on the football field, in the classroom and in the community. 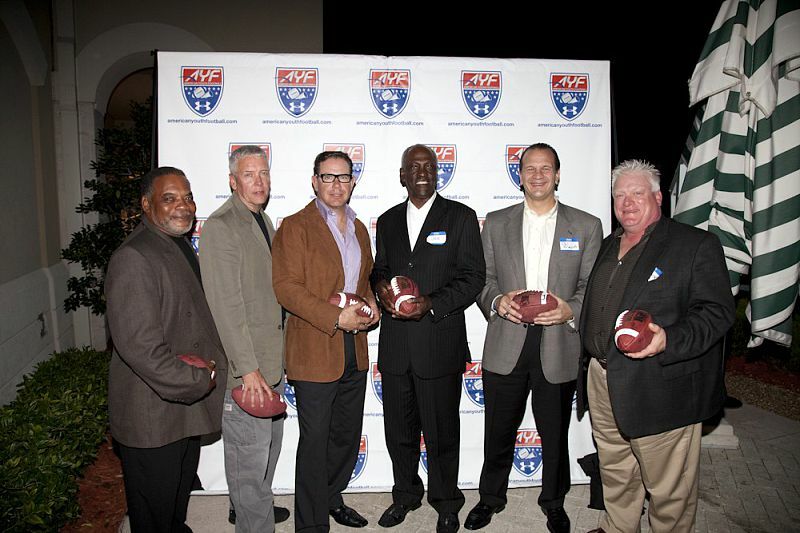 Click here to read more information on the Chicago Chapter of National Football Federation and College Hall of Fame.